2014 kick start & here we have another news on Fire. RIYADH: At least 15 people were killed and 130 injured on Saturday when a fire broke out in a hotel in Saudi Arabia’s holy city of Medina, state-run media reported. 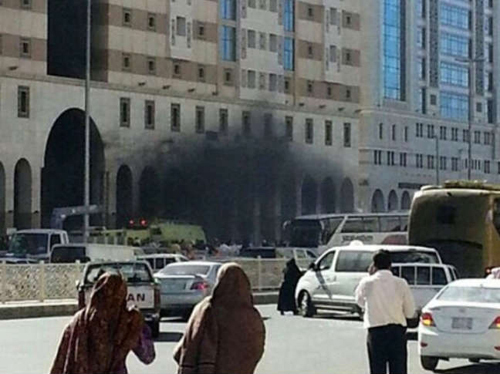 The fire occurred at 2.30pm at the hotel located in the central area of the holy city, Xinhua quoted Medina district authorities as saying in a statement. “More than 700 people of different nationalities were staying at the hotel. Preliminary indications suggest that those killed died of suffocation,” the statement added. The blaze, however, was brought under control at around 5.00pm, authorities added. An investigation has been launched into the fire. Kingdom officials say firefighters battled the blaze for several hours Saturday in Medina before bringing it under control. Authorities say a number of Egyptians were among the victims. 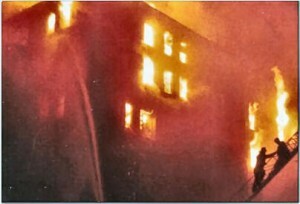 Around 700 people were registered at the hotel at the time of the fire.